Dear friend, welcome to the Deenspiration platform. May Allah (swt) bless you immensely, and may He allows us to start a wonderful journey together. Many times when we are taught Islam we are told what to do, or what not to do, but we’re not always shown *how* to do these things. That’s where we come in. Using free eBooks, guides, cheat sheets, videos, podcast episodes and more, we take every-day aspects of Islam and break them down into easily digestible pieces. Deenspiration is made up of 2 main elements: the podcast and the blog. The podcast is like your on-the-go source of inspiration, reminders and spiritual pick-me-ups, whilst also providing valuable tips to help your worship better. A number of episodes can be found on iTunes, Soundcloud, Stitcher and other audio platforms. The podcast host – Usman – is fun, enthusiastic and passionate about Islam, and had a knack for explaining the Deen is an easy and digestible way, as well as driving home key messages through heartfelt reminders. Usman is just the host however. To help out, he regularly invites influential Muslims from around the world to share their knowledge, priceless gems and wisdom with the listeners. You can expect a multitude of topics being covered here. Many podcast episodes are accompanied by summarised blog posts and include any important info, URLs or action-points mentioned by Usman or the guests. Alongside this, the blog serves as a platform for a variety of guests authors to share their gems on some interesting topics. 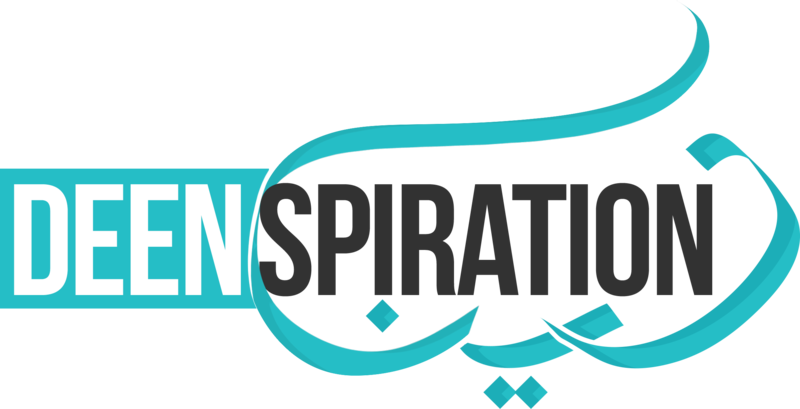 If you love Islam and want to learn more ways to worship better, like listening to popular speakers talk about various subjects, and prefer easier and visually engaging ways to interact with your faith, then Deenspiration is for you. Diving deep into the sacred sciences such as Fiqh, Hadith, Shari’ah etc. are very important and wonderful for an aspiring student of Islam, however here at Deenspiration we cater to an audience who prefer things to be simple, engaging, easy to implement and even a little fun. Already, readers and listeners have benefited greatly and comment on how easy our content is to follow and implement. We find that by providing these simple and effective tools, Muslims around the world can be much more motivation to practice their Deen and enjoy it too. Our goal is to help you along your journey of becoming closer to Allah SWT, worshiping better and attaining Jannatul-Firdous. If you sign up today, not only will you immediately be sent a free gift, you’ll also receive lots more inspiration, iman boosting pick-me-ups and tips straight to your inbox.